Full video build is below, followed by detailed instructions with tools and measurements! You can subscribe to our YouTube channel by clicking here! 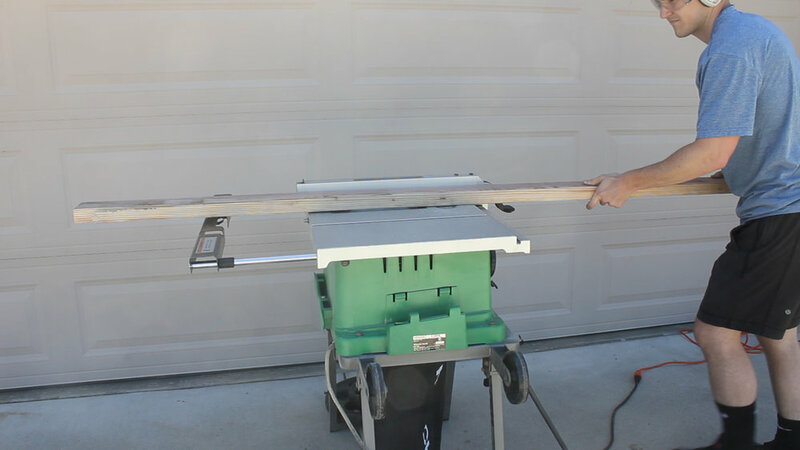 The guys over at the Modern Maker Podcast put out a challenge to the online woodworking community to build something cool / unique / funny (all the above) using only two 2x4s. I thought it would be a unique opportunity to do an end grain project but also make something silly. Thus, I made a squatty potty! I chose to use redwood 2x4s for my project as they are a bit nicer overall in quality and I knew that I could achieve a cool end result with this species. 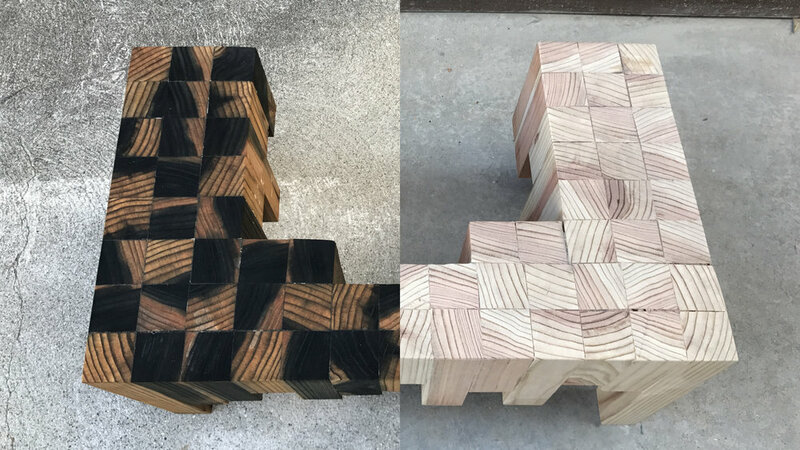 My inspiration for this project was an End Grain Side Table project that Johnny over at Crafted Workshop created. 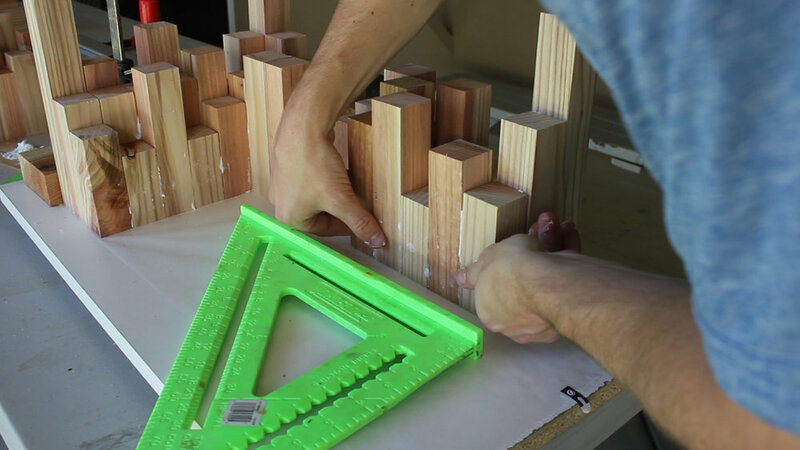 Now, I obviously wasn't going to be using hardwoods and such, but I wanted a similar vibe of a 3D cutting board that had pieces of all different lengths cascading downward, almost like an upside down city skyline. 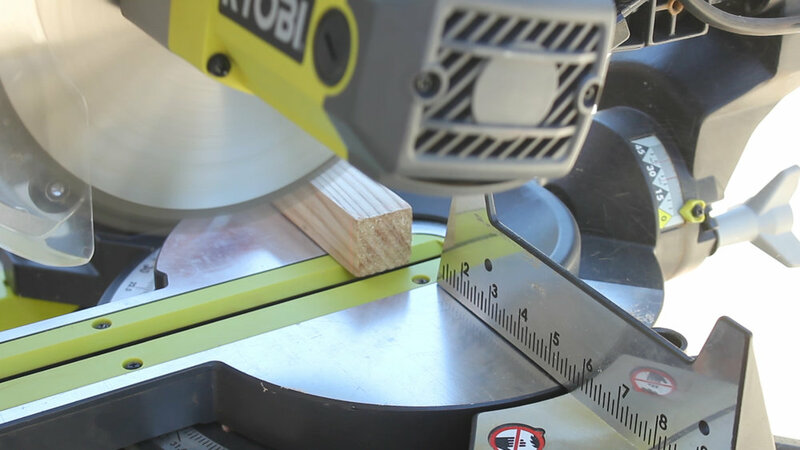 As stated earlier, the entire project must use 2x4s as the main component of the project. So I got to work! I think I spent $15 on the pieces (about $6 more than I'd have spent on really crappy Douglas Fir lumber). I began by ripping the rounded edges off one side of each of my pieces of lumber - about 1/8" width to be exact. I then followed that up by ripping my pieces into four total strips that were 1.375" wide. I hate my table saw. I then used my planer to remove about 1/16" of width from each side of my pieces total to make all four of my pieces completely square and flat. Worked great! Now that I had all of my strips set, I could rip them to length. I needed 60 total pieces, including four legs, so I started by just ripping off a small piece to square up the edges. I did a quick sketch in Illustrator of my design, showing roughly what it would look like from the top (left) and the front (right). I ended up making my legs a little bit longer and making the third row have five pieces instead of four. But this was mostly to confirm how many pieces I'd need based on the general dimensions of my toilet and the material I had available. I set a stop and cut four pieces to 9", which would be the height of my legs. I researched and found that there were two sizes of squatty potties - one 7", and one for advanced poopers at 9". I'm definitely advanced. After I cut my legs, I was left with about 348" of total length. Now, I needed 56 more pieces, meaning that they could all average 6.2" and I would have enough material for the project. Knowing this, I chose to cut 16 pieces at 3, 4, 5, and 6", which left me material to cut a few pieces at 7" (because why not) and then one spare 9" piece incase I destroyed a leg. Before gluing anything up, I spent some time laying out the final shape of my piece, rearranging pieces so no two heights were next to each other and confirming my design was good to go. That way, when I went to glue things up, I could grab one piece after another without figuring out / delaying the glue up. This worked out great! 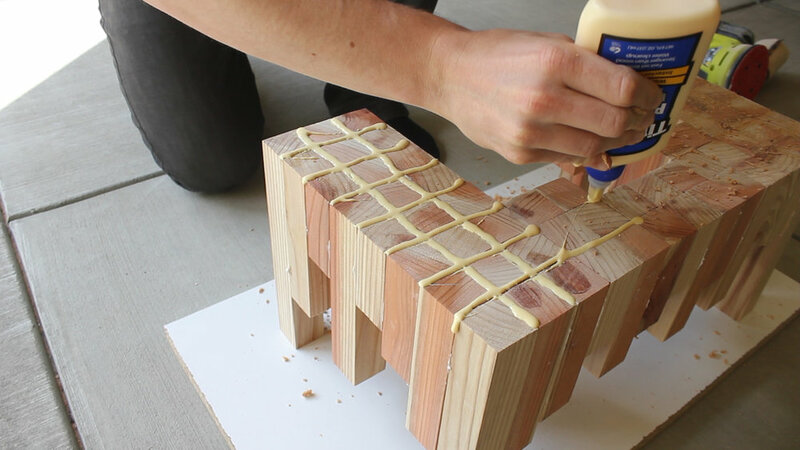 I had found a method where something build something actually very similar to this (although theres was an art piece) where they used Loctite Construction Adhesive as it was weatherproof and supposedly would set well without clamps. Since this was both a silly / fun project and I was looking to do my glue up all at once, I chose to experiment with this method. To do the glue up, I used a scrap piece of melamine as a flat surface, then created a right angle corner using my straight edge clamp and a scrap piece of wood and a clamp. That way, I could start in one corner, work my way from left to right, and have a flat surface and corner to push things into and squeeze out gaps manually. I also used wax paper to make the clean up easier. And, one by one, I'd spread a bit of the adhesive to both sides of my pieces, stick it on the board, squeeze together and check for squareness, and move on to the next piece. After letting the adhesive cure overnight, I could finish the project the next day. As you can see from the first picture, there were gaps in my glue up from using this method. I expected it once I felt the consistency of the adhesive, but was still a little annoyed. But hey, this is what experiments are for. Overall, the piece was strong and robust, but I knew I had to fix my poor experimental craftsmanship. I mean the stuff doesn't even dry clear!! I chose to use saw dust from the redwood I had kept when I ripped my pieces on the table saw. Before doing that, I cleaned up all the adhesive that had squeezed out so my surfaces were clean. Using wood glue and shavings, I applied a liberal amount of glue to all of my cracks and then cover all of them in shavings. This worked like title grout, and works pretty well! It is always better in my opinion to use shavings and glue if possible (and shavings of the same wood species) as it fills the gaps better and actually will take a bit of stain if that is your final plan). I also recommend you don't pre mix your solution and then fill in the gaps. It is easier to apply glue then cover in shavings - just faster and more efficient with your time. You can see the third picture right after applying - WHAT GAPS?? Next was clean up. I used my stationary sander to clean up the larger surfaces, followed by belt sanding and orbital sanding at 80 grit which flattened everything quite well, then finished off with hand sanding at 120, including the edges, so that there were no sharp features to where bare feet might go. Was starting to look pretty cool! thought it would be cool to use an oxidized solution to finish this project given that I was using redwood. I had done this method once before on the same species and I knew how cool of an effect it had on the red parts of the wood, essentially turning it black. 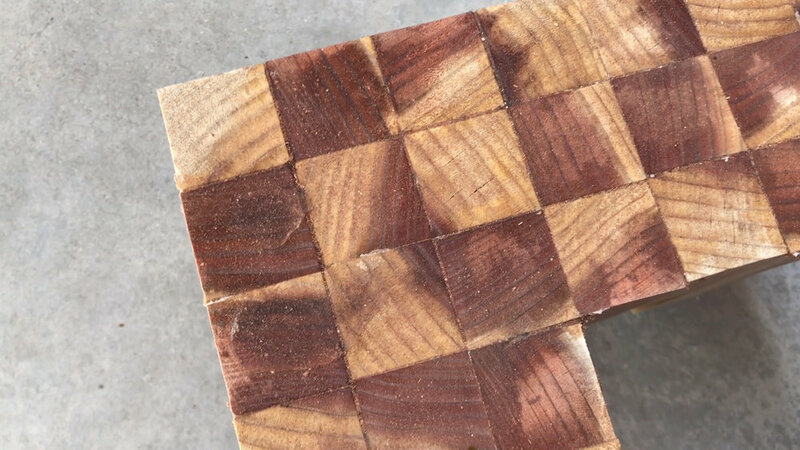 Knowing that this was all end grain, I knew it would turn out even cooler! To make the solution, mix three pieces of 0000 Steel Wool with one gallon of water and one gallon of white vinegar in a big 5 gallon tub with a lid. Let the solution sit for one week - it will dissolve the steel wool over that time period, leaving a very disgusting and smelling solution that will rapidly age wood if applied to the surface. I recommend using gloves for this process, or in my case, a spray bottle, so you don't get the smelly solution on your hands. I recommend using gloves for this process, or in my case, a spray bottle, so you don't get the smelly solution on your hands. The spray bottle was great for this project as well because there were so many odd surfaces to cover on the bottom that it was basically the only way to get to all of them quickly. You can see in the third picture the difference before and after. The solution works right away, and will dry and age the wood rapidly over the course of the next day (depending on your drying temps!). Few final photos for you! REALLY cool how this stuff reacts. As much as this was a partially failed experiment the final product was totally salvageable and I'm quite excited about it. Thanks for reading! I would be so grateful if you could please subscribe to my Youtube Channel for future projects. I put out videos every other week.